QMobile was busy in making their new logo and re-branding of its company so it could not announced this model earlier. 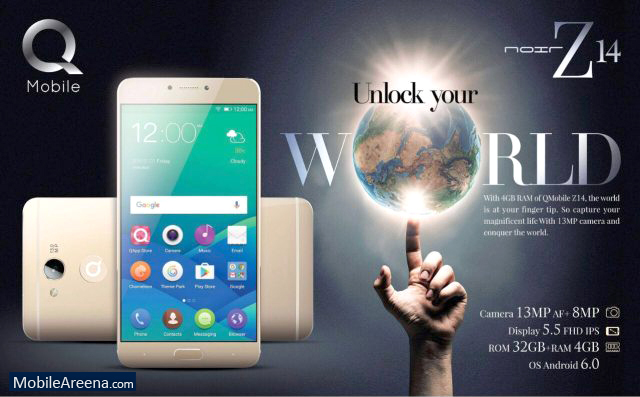 QMobile Fans and Mobile Phone dealers were waiting for a new flagship device from QMobile for a long time. 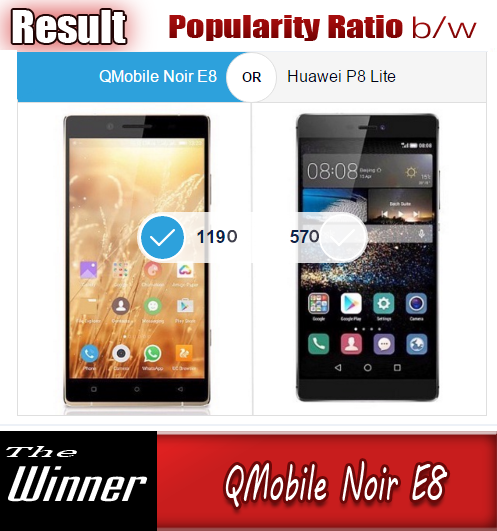 As the Mobile technology has entered in 4GB, 6GB and even 10GB of RAM and the QMobile's last flagship device was with only 3 GB of RAM and many of its mid-rangers were also fighting in the field with the 3GB RAM. So it was mandatory to launch a device with 4GB of RAM to remain in competition with other flagship devices in the market. 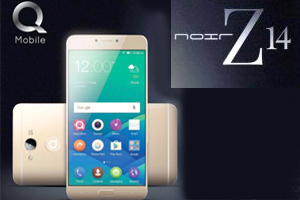 QMobile NOIR Z14 brings many interesting features like a metallic body with 5.5 inch display. It has 1080 x 1920 pixels that gives 402ppi value. It runs on Android 6.0 and a polished Amigo 3.2 UI is there to entertain you with ease of use. It has been launched with new logo of QMobile that looks awesome on its back. On its front side its home button carries a finger print sensor inside it. That finger print sensor is there to make your phone more personal. Its primaray camera is of 13.0 MP that captures videos on 1080p with 30fps. The selfie cam is of 8.0 MP to give you sharp and crisp selfies and videos. It also brings you a USB Type-c port for fast charging and data transfer rate. It has a built-in 3130 mAh battery that gives 225 hours of standby and 70 hours of internet surfing and talk time on 3G networks.